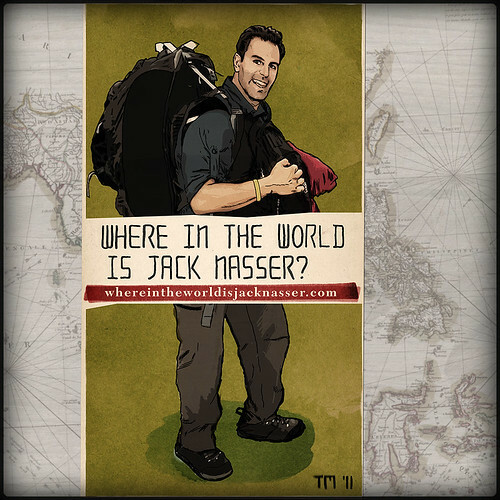 Dr. Jack Nasser from San Diego started his journey in Bangkok a few weeks ago. If you want to join Jack on his adventure to the east, visit his WP site with a lot of info and photos. The picture was made of a photo with parkers, watercolors and Photoshop. You can take a look at a larger version in my Flickr gallery.